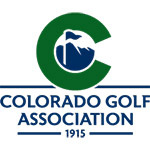 AURORA, Colo. (Sept. 29, 2018) – The winners of the last four CGA Mid-Amateurs are near the top of the leaderboard for this week's edition of the championship, but they're looking up at one competitor heading into the final round at CommonGround Golf Course in Aurora. Despite bogeying two of his last three holes on Saturday, Jared Reid of Legacy Ridge Golf Course grabbed a one-stroke lead through 36 holes. Reid eagled the par-5 11th hole to stand at 6 under for the day, but bogeyed Nos. 16 and 17 to shoot a 4-under 67. That left him at 9-under 133 overall. Over two days, Reid has played the first 11 holes at CommonGround in 13 under, and the final seven holes in 4 over. Reid's closest pursuers going into Sunday's final round are both multiple-time champions of this event. Chris Thayer of Walnut Creek Golf Preserve, winner in 2014 and '17, is in second place at 134 after a second-round 68. Dating back to last year, Thayer has posted five consecutive sub-par rounds in this event. He made four birdies and one bogey on Saturday and has carded just two bogeys in two days. Thayer has two victories and two seconds in the past four CGA Mid-Ams. Jon Lindstrom, Mid-Am champ in 2008, '15 and '16, holds third place after shooting a 6-under-65 -- the lowest round of the tournament so far -- on Saturday. His six-birdie, bogey-free day puts him two behind Reid. Three players share fourth place at 137 -- Nick Nosewicz, former Colorado State University University golfer Dominic Kieffer and Pete Mangold. Nosewicz, who won the 2015 CGA Match Play at CommonGround, and Kieffer shot 68s on Saturday and Mangold a 69. The field was cut to the low 40 players and ties after 36 holes, with all those at 8-over 150 or better advancing to Sunday. The Mid-Amateur is limited to players 25 and older, but starting this year, there's also a Super Mid-Amateur Division for players 40 and older. Through two days, Lindstrom holds a six-stroke lead in that division. Next best after Lindstrom's 135 are 2014 CGA Player of the Year Michael Harrington of Garden of the Gods Club and Michael Slutzky of Columbine, who are tied at 141. Active CGA members. 54 holes of stroke play. A 36- hole cut will be made to the low 40 players and ties. A player must be 25 years of age or older as of the first day of a tournament. Non-exempt players must pre-qualify.